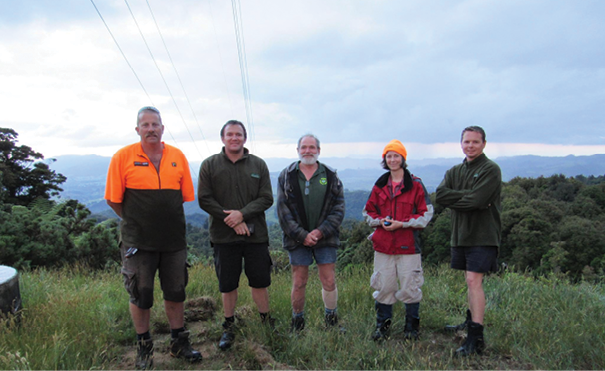 A successful application to the Fonterra Grass Roots Fund means volunteer group Paeroa Land Search and Rescue (LandSAR) can conduct safer rescues under improved conditions. It’s the first time the volunteers have applied for funding, which has allowed the group to purchase eight cliff protection kits and 10 LED torches with a 350-metre range to help with Police callouts for missing people. Volunteer Sarah Daroux, who has been part of search and rescue teams in both New Zealand and Canada for five years, says, "Our team of 14 covers a large area from the Karangahake Gorge, south through the Kaimais, and we also regularly offer our support to neighbouring areas." "This grant is fantastic because it lets us perform our searches as safely as possible, whether it’s in an area where there’s the potential to fall or it’s late into the night. " 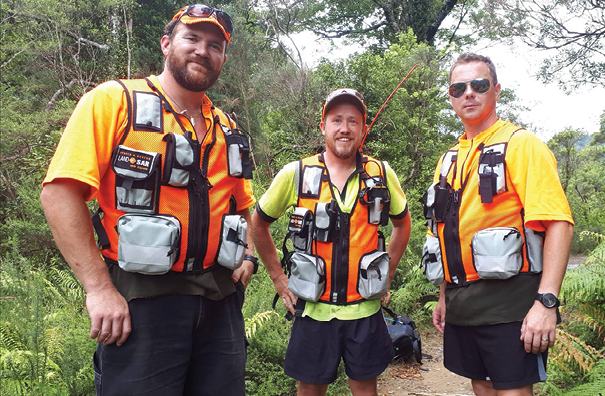 From left: Volunteers Jeremy Gamble, Oli Polson, and Darren van der Wetering after a successful rescue in January 2018. "Call outs usually happen at night when a party hasn’t returned home, so we’re out in some pretty mountainous terrain in the dark doing our best to return people to their loved ones," says Sarah. Paeroa LandSAR relies heavily on fundraising and volunteers often make up funding shortfalls by dipping into their own pockets to buy rescue equipment. "Our volunteers are all great, like-minded people who are either keen hunters or trampers and are committed to giving back to the community to keep them safe," says Sarah. Paeroa LandSAR’s passionate volunteers often fund their rescue equipment themselves. From left: Dave Richards, Jeremy Gamble, Rex Gamble, Sarah Daroux and Darren van der Wetering.